Hello all! I hope everyone is celebrating the end of their Summer Reading Program, or are very close to doing so. Enjoy these wonderful submissions as you are recovering from all of the craziness! First, Kathryn from Fun with Friends at Storytime shares an awesome activity for any picnic or food themed storytime. Lisa at Libraryland shares her flannel of A Hole in the Bottom of the Sea adapted by Jessica Law. It involves number practice, and she included a shark to celebrate Shark Week. Double bonus points! We have two wonderful Five Green and Speckled Frogs contributions this week. Both seem to be inspired by the lovely Mel over at Mel's desk. A big welcome to a first time poster–Simple Story Time with Puppetry! She shares how to make your own Five Green and Speckled Frogs manipulative for outreach storytimes. Then, Ms. Anna over at Future Librarian Superhero shows us how to make a super-sized Five Green and Speckled Frogs– and adds numbers! Thrive After Three shares an original story called Squirel! Swan! It is a hilarious play on Amy Krouse Rosenthal's Duck! Rabbit! Over at Storytime with Miss Tara and Friends, we learn a new way to use your "Five Little Ducks" flannel with a duck puppet. Falling Flannelboards is sharing a fabulous resource she found online. She then shows how she plans to incorporate her new count and clip cards in storytime. Miss Kristie at Let the Wild Rumpus Start shares an amazing flannel rendition of Hey Diddle Diddle. I plan on making this immediately! Katie over at Story Time Secrets shares an adaptation of A Perfect Nose for Ralph by Jane Zalben. The possibilities with this one are endless. Piper Loves the Library shares what looks like a wonderful time making mustaches! I think Mustache Mania will definitely be trending soon. Anne at So Tomorrow shared "Going to the Pet Store". This is a spectacular way to use all of those random puppets you have in your storytime collection. Wrapping up this week is the fabulous Storytime ABC's blog with another shout out to Shark Week! She shares a great shark finger puppet and even includes her favorite shark song. What a wonderful week of contributions! 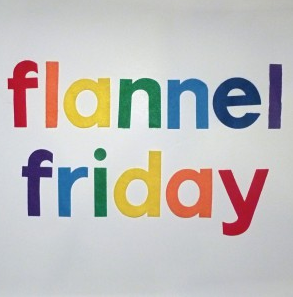 Don't forget to check out the Flannel Friday website, Facebook, and Pinterest page. Linda at Notes from the Story Room is the host next week. Thank you all for visiting and have a good week!